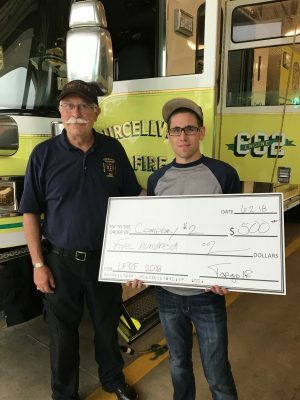 PVFC member and Fairfax County career firefighter Christian Perdue presented PVFC president Brad Quin with a donation of $500 during the Company’s annual fund drive. Christian participated in the Loudoun First Responder Foundation’s fund raiser at TopGolf in Ashburn. 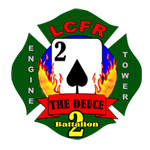 LFRF provides financial assistance to first responders and their families’ in times of need and for scholarships. Christian’s team won after an additional “playoff” was necessary to declare a winner. Congratulations to Christian and his teammates and thanks for the generous donation to the PVFC!